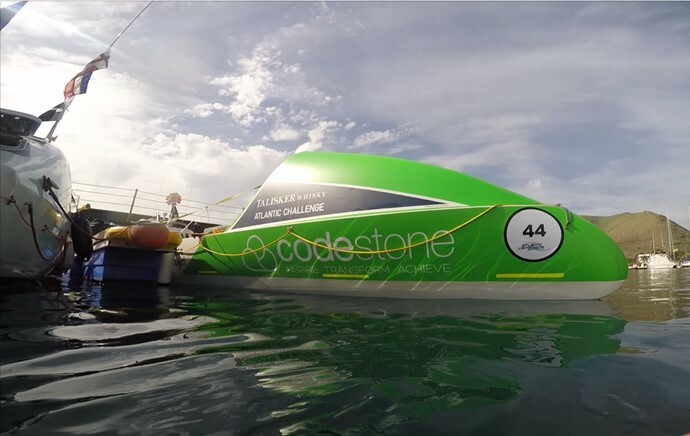 The girls have affectionately named their boat Nellie and as the 15th December rapidly approaches, we thought we would share with you how Codestone have helped by technology-enabling her. As you can imagine your standard mobile phone will not work when you are in the middle of the Atlantic so to keep the girls in touch we have provided them with two Iridium Extreme Satellite phones, one for official use, such as for contacting the race organisers and getting updates on weather conditions, the second to enable the girls to keep touch with all of those thinking about them on land – their families, charity and followers. Codestone are sending the girls off with a MacBook Pro. However, the challenge is how do you connect this to the internet? The answer is a magical box that we have provided. Actually it is a RedBox Wireless Router that connects through Wifi (when onshore), 3G (when close to shore) and through Satellite Broadband when in the middle of the Atlantic. This device not only allows the girls to post updates as they travel, it is also a key component that will track their position. Although having a Facebook connection is pretty serious, Codestone are also providing the girls with the absolute essential technologies they need to survive their trip: A Fuel Cell that will keep everything working, a GPRS system that enables them to know where they are and a VHS radio that will enable them to communicate with the coastguard and other vessels. By equipping Nellie with this technology, we hope the girls have everything they need to break the two world records as they cross the Atlantic. Good Luck Row-Like-A-Girl.